List of Best Compound bow for Women: In the last few years, there has been a significant growth of women participating in Bow Hunting. According to the year 2013, about a total of 16.5 million people have participated in Archery and Bowhunting. Women bowhunters are increasing rapidly, over and about one-third in total and growing annually by 5. Archery and Bowhunting brands have understood the trend and have made great changes in developing gears especially for women. Hence, women don’t need to settle down for youth bow or stripped down full-size bow. Bow manufacturers have improvised by considering lows and highs in the market. Thus, bowhunters are designing bows by keeping in mind women’s unique physiology. Nowadays, reviews are often focused on the aesthetic design of bows designed for women, it’s against the truth that these are mainly stripped down versions of so-called “men’s” bows. Women bowhunters will be able to select bows with the same features but less weight. Compounds bows provide adjustable draw weights and draw lengths. The archer can tune the bow as per her requirement. Draw Length: Most probably, Women’s height is less when compared with man, this resonated with shorter draw lengths. A good female compound is very much necessary, using an appropriate draw length and a great practice, you will accomplish tighter groupings. Hold your arms wide and then measure from one fingertip to another fingertip. Then, divide the output with 2.5 in order to get the initial point of draw length. Draw Weights: Draw weights for women’s bows are mainly low as compared to other bows. If you haven’t shot using a compound bow before, then you have to start using a low weight bow and then build the muscle strength to comfortably draw at 40lbs. Here, 40 pound is the necessary draw weight required for deer hunting. Let Off: Let Off is essential percentage needed to hold your arrow at full draw. Currently, 80 let off is essential to hold an arrow for a long period of time. It also helps to increase precision and your skill to control your shot. Quality Strings and Cams: Cheap compounds offer flexible strings and cam systems which are not as smooth as compared with superior quality rows. Total Bow Weight: This is one of the most essential features to look after. The heavier the bow, the more energy you will require to hold it up. Hence, if you purchase a heavy bow, you might become tired easily and your accuracy will suffer a lot. Heavily Adjustable Bows: If you are just entering into the world of bowhunting, then the heavily adjustable bow is the one you need. These bows are specially built for young archers. There are a wide number of bows available for women in this category. Consider a full size, small frame along with appropriate draw weight and height is best suited for you. Bear Archery Finesse bow is particularly designed for the women. It is also best suited for young shooters. It is precise and can be utilized in various shooting conditions. Due to its weight and power, it is best suited for both beginners as well as experienced shooters. The package consists of the bow, Whisker Biscuit rest, four-pin sight, a basic stabilizer and sling, quiver, tube peep sight, and nock loop. The outer layer is made using Realtree APG that is basically a film-dipped finish which is long-lasting and attractive. This bow is specially developed for the female archer and can be used in any shooting conditions. The bow can be used for the 3D course, target range or hunting. Using a 28 5/8″ ATA and a 7″ inch brace height. The bow is well suited for a ground blind. The bow’s weight is just 3 pounds, hence it is best suited for long hunting trips. Diamond Infinite Edge compound bow is an adaptable bow, which is a nice choice for female bowhunters of all sizes, strength and experience levels. The draw length and weight can be adjusted as per your particular physique and muscle power. The structure of the bow is amazing, it offers best quality aluminum riser, solid limbs, and standard finishing. The bow consists of all the essential features which you are looking for, making it a perfect fit for any women. The eccentric system of the bow is amazing, integrating a non-aggressive dual cam system which allows changing draw height and weight easily. You can adjust the bow as per your need in just a few minutes. This is one of the most amazing bows for women, because of its proper size for the normal female physique and it is customizable to be perfect for any women hunter. It is a lightweight bow, hence you can hold it for hours easily. The bow shots at the speed of 310 feet per second, hence it is the fastest bow with respect to its max draw length. The Quest Radical right-handed bow is specially built for women. The bow is specially marketed for beginners, but it is not used by them. 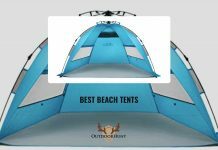 It provides an adjustable draw length between 17.5 to 30 inches. Hence, it offers a wide number of scope and it can be used by various people. The Quest Radical bow is compact as well as lightweight, hence it can easily be used by women hunters. The bow consists of four-pin-sight and a flexible cam system, hence you require to do bow press. The bow package consists of the suppressor, quiver, rest, sling and other parts, which are needed for a new archer. The bow is available in different finishes such as orange, green, solid black, Camo Realtree Xtra, AP and Realtree AP HD Purple. The bow is a proper choice for younger, beginner archers or highly experienced archers who are looking to carry a highly flexible bow in the woods. Diamond Archery Infinite Edge Pro is one of the most popular bows which you can buy. Because of its amazing characteristics, it is best suited for female archers of different experience levels, strengths and body sizes. Due to its adaptable draw length, you may consider it as the best option for your physique and muscle. The one of the most important reason, why it is the best choice for women because it consists of a high-quality aluminum riser and great finishes. One can easily assemble pieces of the bow, hence it is best user-friendly bow available in the market. When we talk about the eccentric system of the bow, it provides amazing dual cam system which helps in a quick adjustment of draw length and weight. The bow provides high-quality bare bow along with RTH package at a reasonable price. It is not as quick in the shot as compared to other bows. However, it is a proper choice if you want good value and willingness to become a sharpshooter. The Bear Wild package provides a lot of amazing accessories such as whisker biscuit rest, a 3-pin sight, a stabilizer and sling, a five-arrow quiver, a peep sight, and a D-loop. It is highly finished using a Realtree XTRA Green, Sand Olive, and Orange that is immersed in the riser. The bow is a perfect choice for female hunters and great performance at the given price. 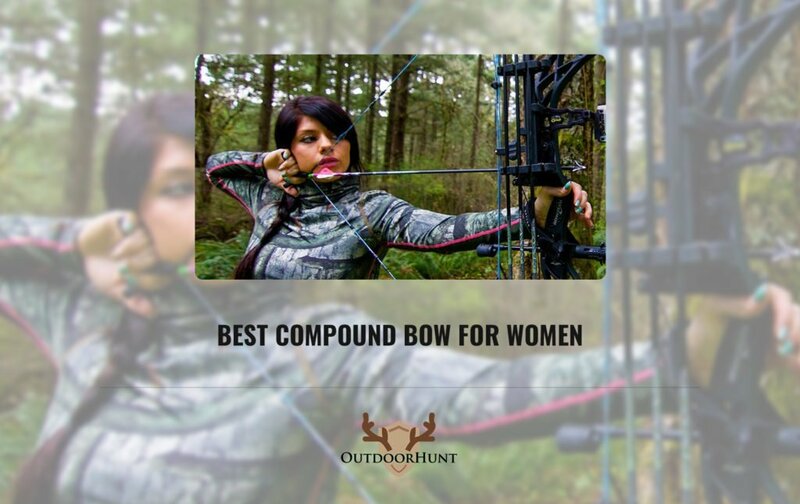 We hope that you liked our collection of Best Compound Bow for Women. If you found this information helpful, then please share it with your friends and followers.